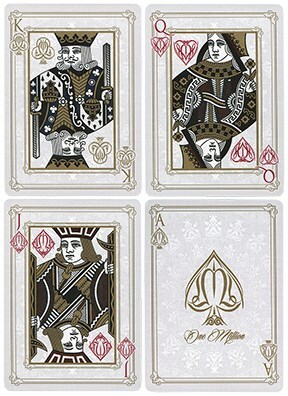 The One Million Bicycle® deck is pure elegance and luxury printed by the United States Playing Card Company. Playing with contrasts and textures, the interplay of red, gold and grey, on the pips, suits, and background, distills the elegance of the One Million Bicycle® deck. The exquisite royal backs are printed with striking gold tones on a vibrant red paper. 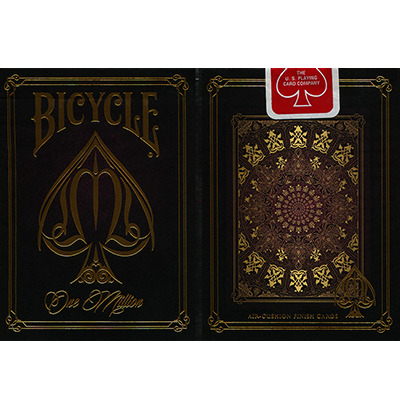 Whether you'll use them for a poker game, for magic, or for cardistry, the One Million Bicycle® deck represents a statement of who you are. The tuck box is made with a high quality red vellum paper. This luxurious paper looks and feels like velvet. 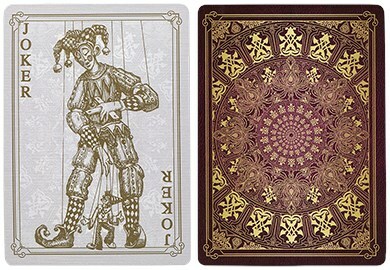 Instead of ink, the design is created entirely from several layers of highly reflective gold foil.